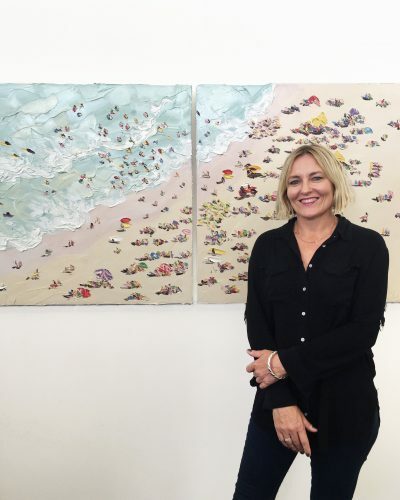 The KAB Gallery team were excited when Sally West was announced as 2018 FINALIST in the Hornsby Art Prize for her artwork “Manly”. Becoming a Finalist in such a prestigious prize is no easy feat, but Sally’s artwork ‘Manly’ certainly deserved this accolade as it shined in the exhibition last year. 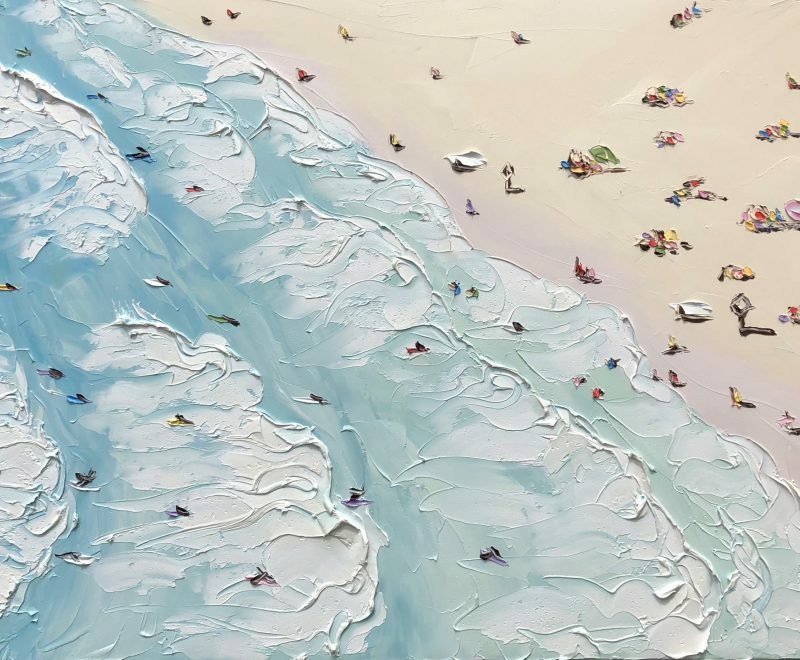 Now the entire KAB Gallery team are proud to be able to exhibit this incredible artwork right here in our stunning Terrigal gallery. 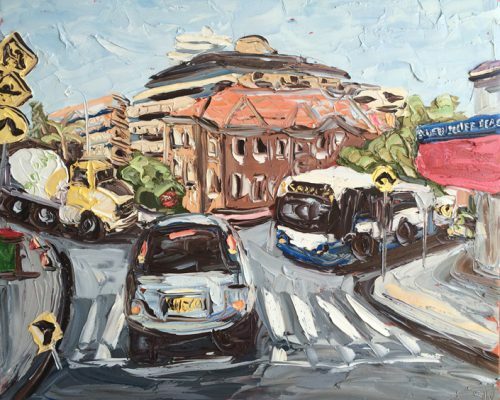 The Hornsby Art Prize is an annual art award and associated exhibition, organised by Hornsby Shire Council in partnership with the Hornsby Art Society. 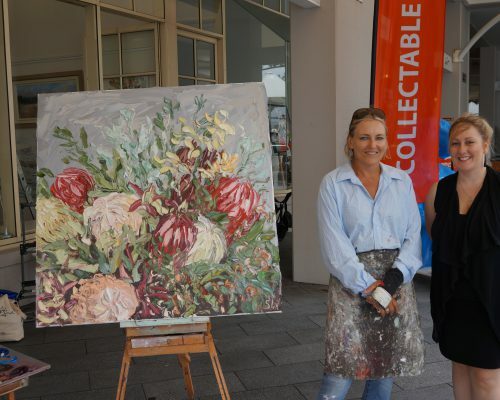 The Hornsby Art Prize is aimed at encouraging the creative talents of artists while providing a showcase for their works. 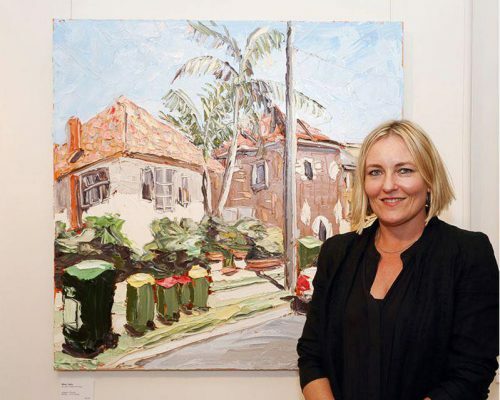 Manly isn’t the first piece of Sally West’s that has received recognition at the Hornsby Art Prize. 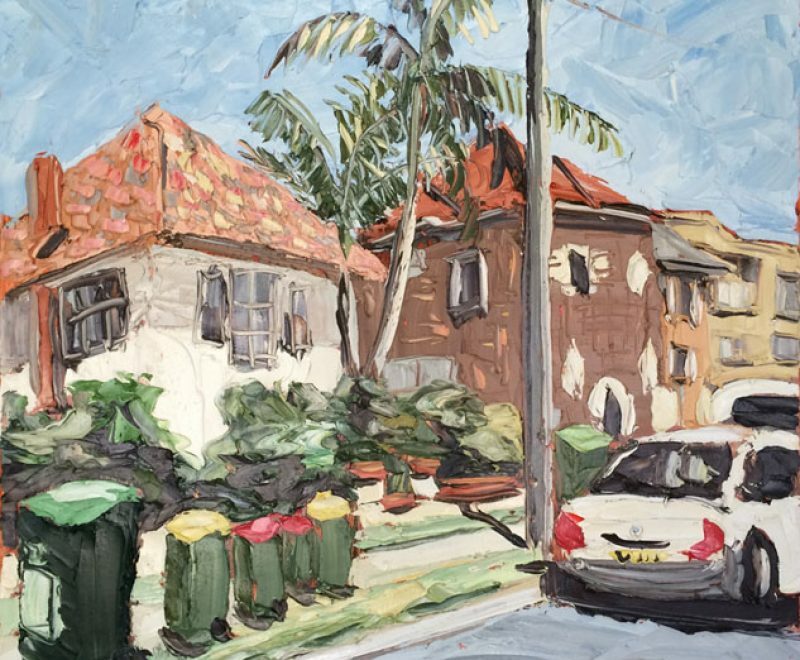 In fact, West’s oil painting titled “Bin Night, Queenscliff Road” won the painting prize in the Hornsby Art Prize (2014), and in 2015 West had 3 separate pieces selected as finalist works. 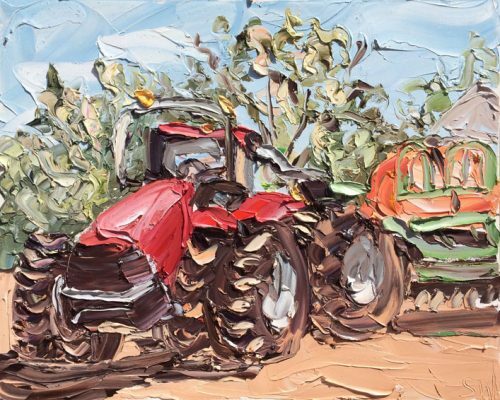 Sally West is no stranger to being a finalist in shows across Australia & the globe. 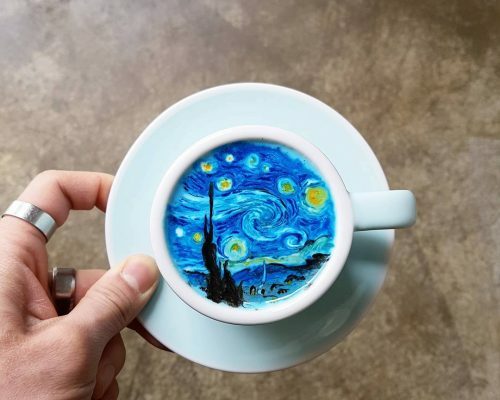 Her accolades are unsurprising given her mastery of the palette knife and her unique iconic style. No matter how many awards she receives, each recognition is a genuine thrill. It’s just as exciting for KAB Gallery and we love exhibiting and selling these special artworks. 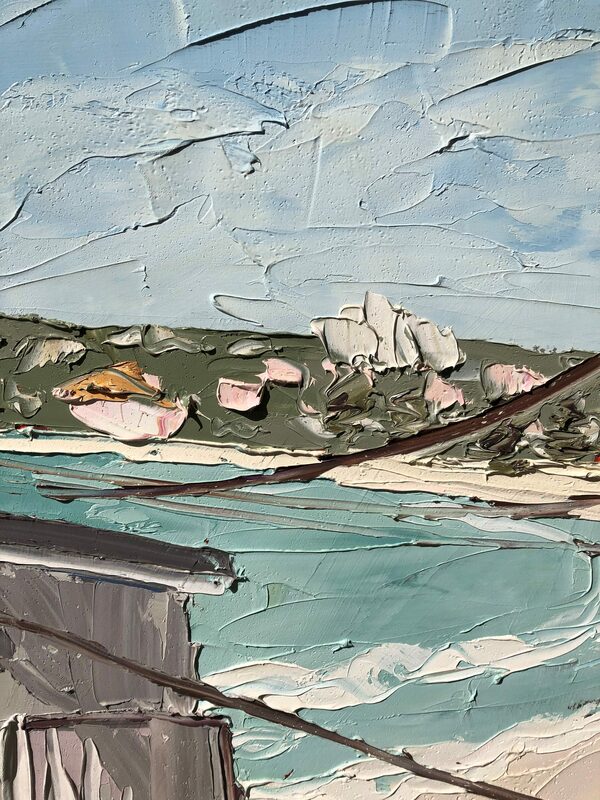 Manly is a departure from West’s iconic picturesque beach scenes, which are sold exclusivly at KAB Gallery. Gone are the iconic red & yellow flags and colorful beach dwellers. 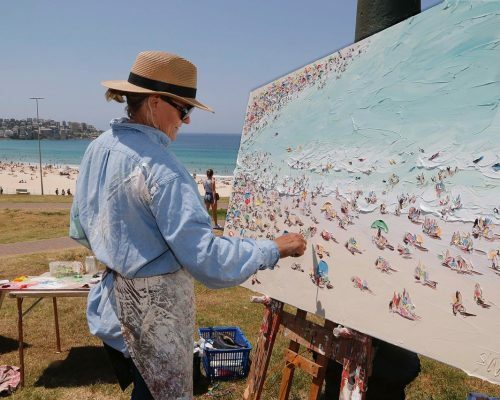 Instead, Sally West has created an exquisite painting which perfectly depicts the urban beach landscape of Manly. 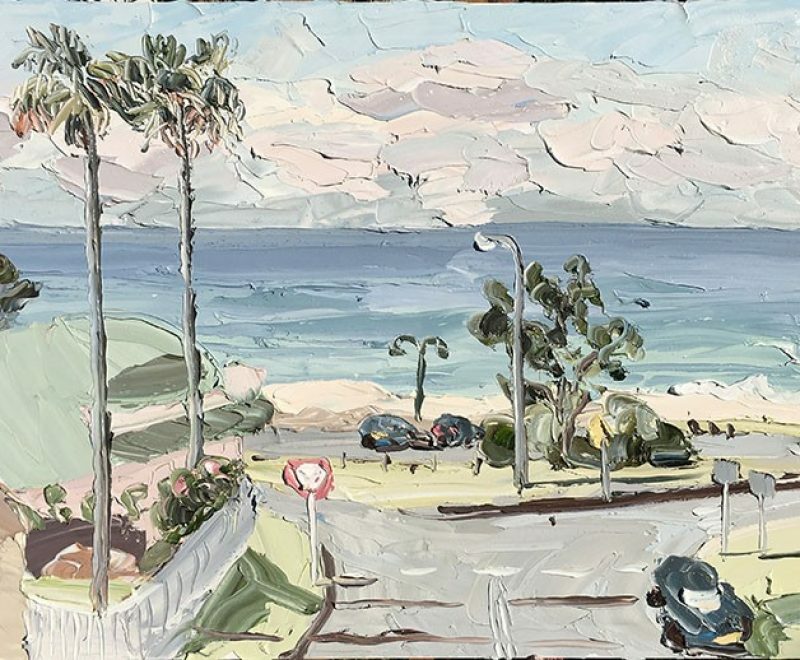 The grey & black cars and concrete of the suburban scene is contrasted beautifully with the vibrant aqua blue beach which beyond. 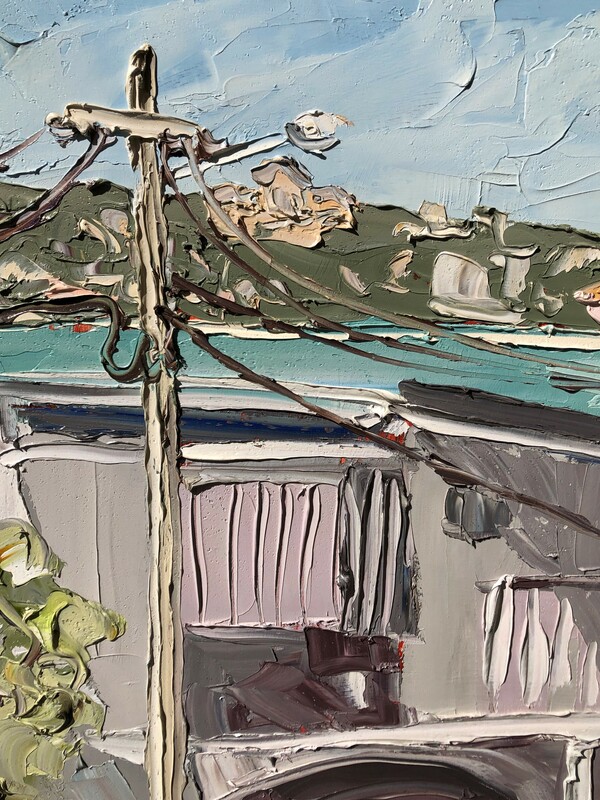 West captures an overlooked and underappreciated glimpse of the stunning coastline overshadowed by the power lines and buildings. 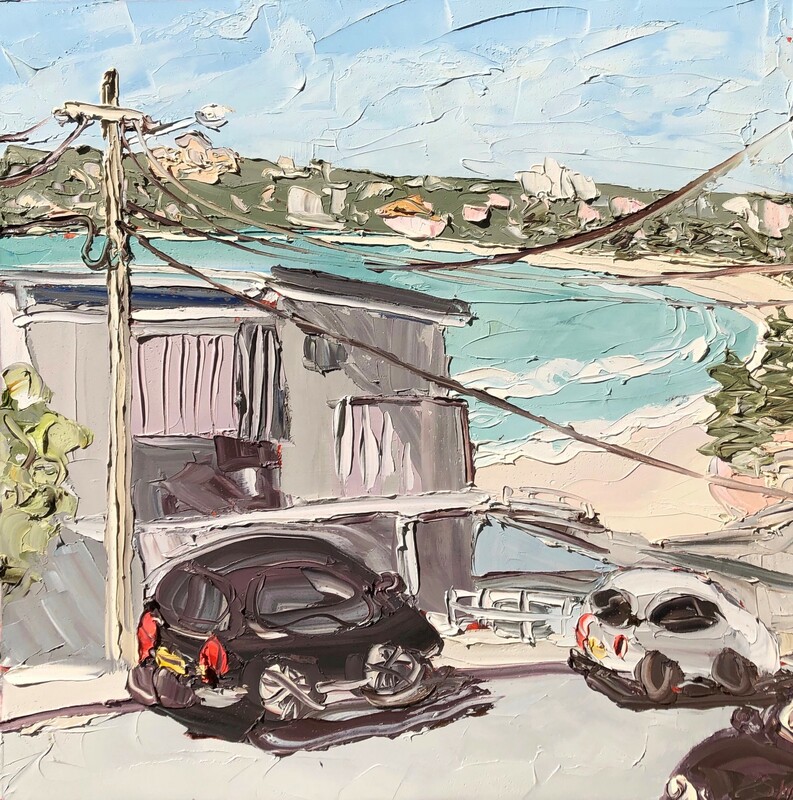 The ‘accidental view’ shows not only the beauty of one of Sydney’s most popular beaches but also tells the story of the Australian suburban life. The parked boat, the textured strips of color bond on the front of the house and the green trees lining the street speak to a narrative of a relaxed Australian lifestyle centered around sunny days and natural beauty. In particular, the unique artwork draws upon the connection between the family house and the beach laying beyond it. Manly shows off the refined and mastered technical skills of Sally West. The original painting is a sublime example of West’s ability to create an intriguing and balanced composition. 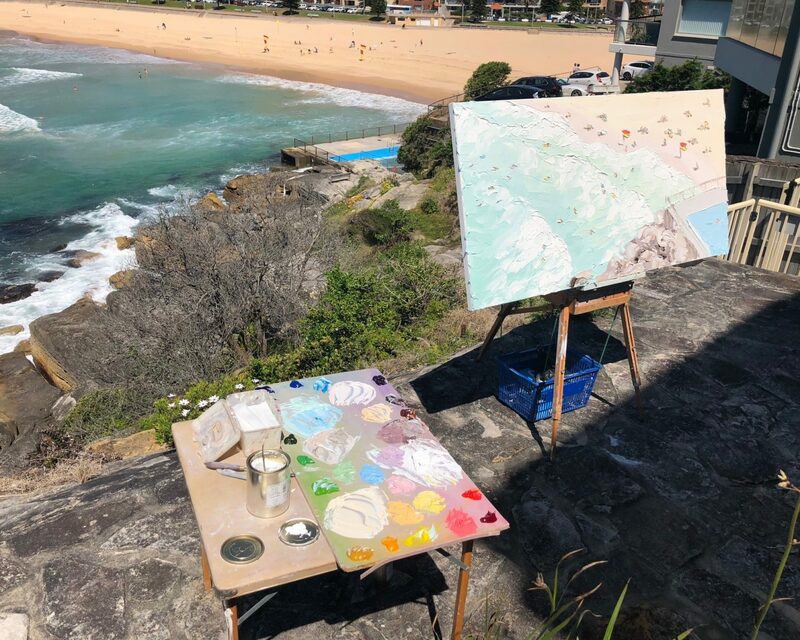 It is incredible to think the piece was painted completely free hand on location at its namesake, Manly – a well known Sydney suburb. The heavy thick dollops and strokes of quality oil paint provide a sculptural element to this piece that create shadows that move and play throughout the day and make the piece feel almost alive. 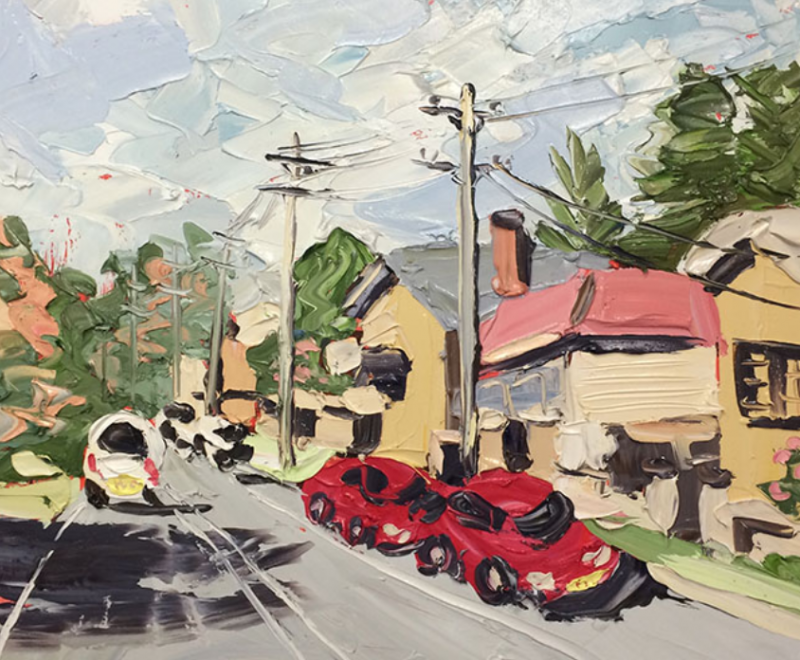 Sally Wests ability to communicate the complex narrative explored by the piece within such a seemingly simple suburban scene is incredible! Her mastery of oil paint and the palette knife has combined to create not just a finalist , but a winner in KAB Gallery’s eyes! 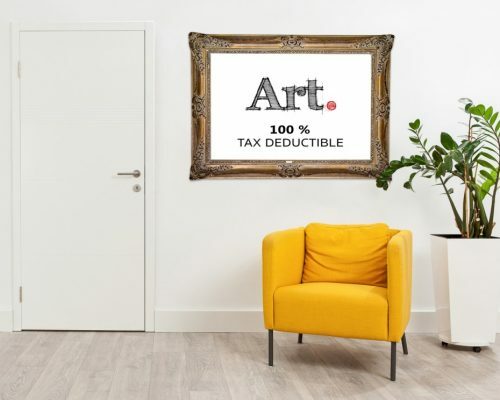 Be sure not to miss this amazing artwork currently being exhibited and available for purchase at KAB Gallery now. Marielle is undertaking tertiary education in fine art & design. She is both an artist and designer which makes her the perfect person to seek detailed knowledge on all mediums. 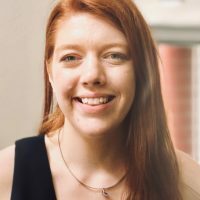 Her formal training in art and spatial design allows her to help clients curate collections of art that are interesting and unique. Marielle is available part-time to help you transform your interior with art!